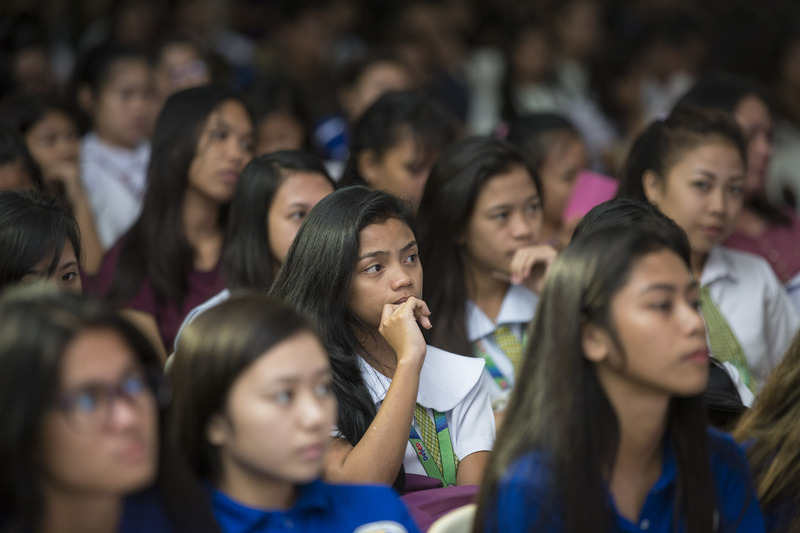 Iloilo, Philippines – “I was shocked when I found out I was pregnant,” said nineteen-year-old Gina*, then a third-year high school student in Iloilo, a central province of the Philippines. She was already six months pregnant when a midwife informed her of her condition. “I’m happy and sad I gave birth because it’s been hard,” she told UNFPA. “I had to drop out of high school to find a job to support my family like washing clothes,” she explained. Leaving school jeopardizes a girl’s future economic prospects and excludes her from other opportunities in life. “And there are broader economic costs as well,” said UNFPA Country Representative Klaus Beck. “Every year, the Philippines forfeits around P33 billion in lost income alone due to early pregnancy, according to a 2016 UNFPA study,” Beck said. “Many girls, including myself, have dreams that we want to achieve. I’ve always wanted to be a lawyer ever since I was a child, but to achieve these dreams we need to be equipped,” she told UNFPA. To take on this issue, UNFPA, the Office of the Vice President, and three universities – Western Philippines University, Mindanao State University - Iligan Institute of Technology, and the University of the Philippines Visayas – have formed a partnership to empower girls and provide them age- and developmentally-appropriate information on adolescent sexual and reproductive health. The partnership is a result of the Babaenihan Campaign, a call to action for the public and private sectors, as well as civil society partners, to invest in education, health and economic opportunities for adolescent girls. Babaenihan – which combines the Tagalog words for “women” and “community spirit” was initiated by UNFPA and the Office of the Vice President. “Schools empower girls and young women to reach their full potential. Western Philippines University commits itself to the Babaenihan call to action to empower marginalised adolescent girls through information and research,” explained Western Philippines University President Elsa Manarpaac. “By raising their awareness on teenage pregnancy, we can help them become responsible and productive women. We strongly believe that educated girls can change the world,” Manarpaac told UNFPA. 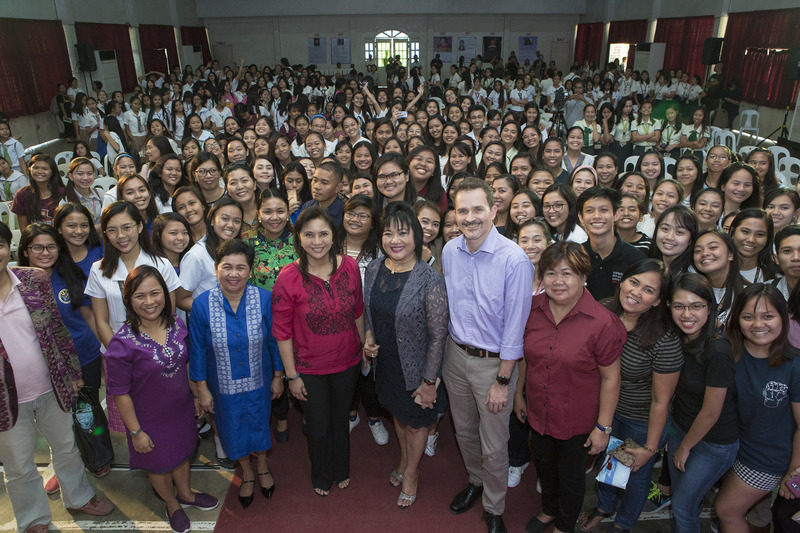 To mark the partnership, Vice President Leni Robredo, UNFPA Representative Klaus Beck, and Western Philippines University President Elsa Manarpaac were at the University of the Philippines Visayas in Iloilo and were connected via video conference to Mindanao State University - Iligan Institute of Technology (MSU-IIT). "MSU-IIT is delighted and excited to be part of Babaenihan. The Institute is a strong advocate of young women's rights and is committed to continue its support for them through MSU-IIT's teen pregnancy prevention initiatives,” said Dr. Sukarno D. Tanngol, Chancellor of MSU-Iligan Institute of Technology. In an open forum at the event, the Vice President together with UNFPA Country Representative Klaus Beck answered questions from high school students on issues such as gender equality and women’s empowerment. “Let’s remember that women and girls have innate strength that grow even more when they get the love and support that they need from their community,” said Vice President Leni Robredo. At Mindanao State University in Iligan, young people were also able to ask the Vice President and Klaus Beck questions, via video conference. One of the questions came from an internally displaced woman from Marawi who was concerned about early marriage. 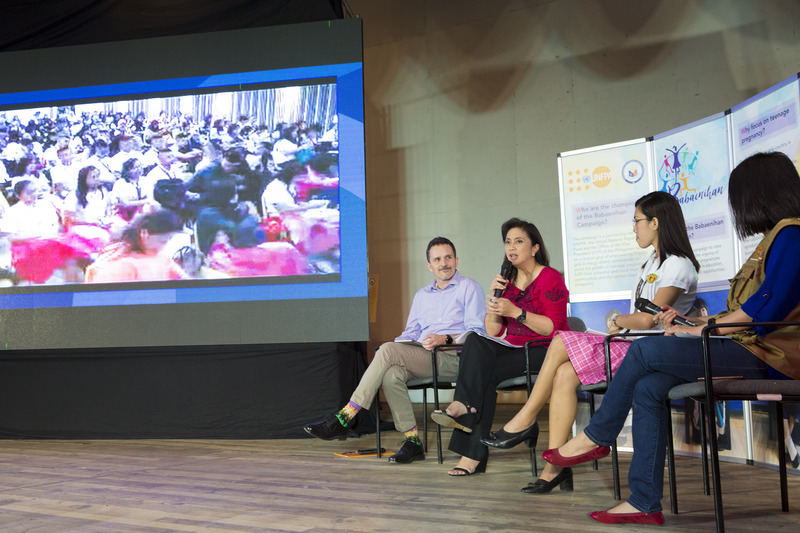 The event in Iloilo also featured a commitment ceremony with UNFPA, the Office of the Vice President and the three universities emphasizing their continued commitment to support women and girls as part of the Babaenihan Campaign.